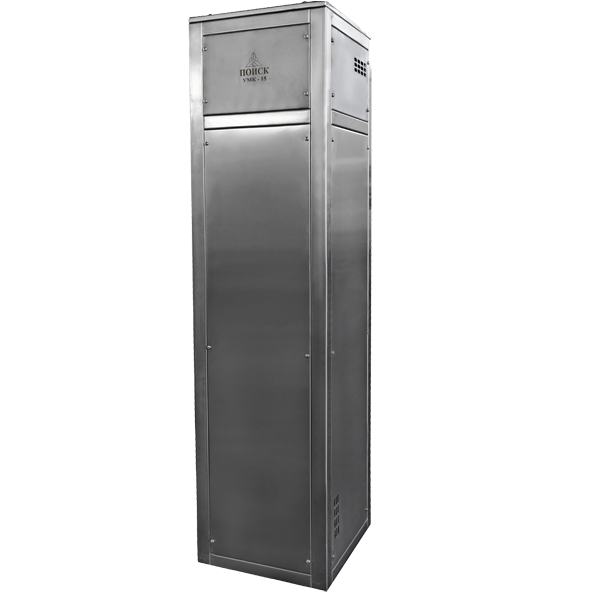 The POISK climatic control unit is designed to provide and maintain parameters of the dispensing medium inside the proofing cabinet or chamber at proofing dough products of bread and flour products before they are baked. The unit is used to maintain conditions being optimal for proofing dough products based on yeast dough. Forced heating and humidification of air inside the chamber thereby creates a working environment for the dough fermentation. The housing of the climate control unit is made of stainless steel. The control cabinet of the climate control unit has: indication of the steam generator activation; indication of heaters activation; switches of warming-up mode, control circuits power, work stop. The control board (Fig. 1) is easy-to-use, designed to measure and control the temperature and humidity parameters inside the cabinet. Call us: (8634) 311-832 and our manager will advise you on all issues related to the climate control unit. LLC PKP «BAK» provides its customers with reviews from operating bakeries and bread-baking plants on the supplied bakery equipment. We guarantee the quality and reliability of climate control units by LLC PKP «BAK».